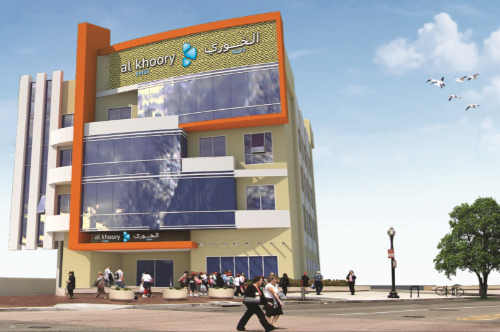 Al Khoory Group is a conglomerate with diversified arms in the business arenas of Real Estate, Automobile, Equipment Trading & Servicing, Hospitality and also manufactures water pumps, electric control panels, waste disposal bins & chutes and electric generators. The group has established its presence all over the United Arab Emirates and Sultanate of Oman . 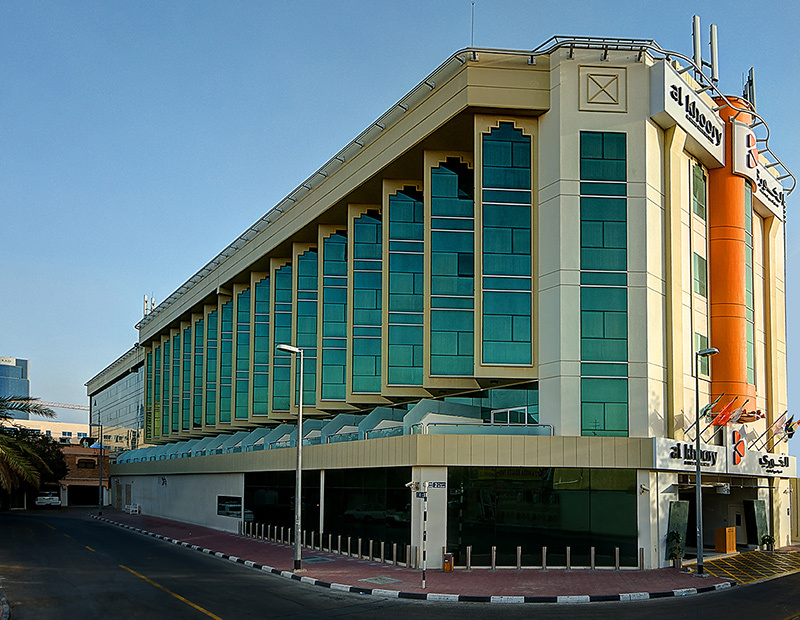 Set in the heart of New Dubai, Al Khoory Atrium Hotel’s close proximity to Mall of the Emirates and Central Business Districts makes it the number one choice for both business and leisure travelers. Enjoy easy access to Dubai International Exhibition and Convention Centre, Dubai International Airport and Al Maktoum International, Expo 2020 site, Jebel Ali Port and the Free Zone areas. The hotel is also in walking distance from Sharaf DG Metro station. Al Khoory Hotel Apartments boasts an unbeatable location in the hub of ‘New Dubai’, just 30 minutes from Dubai International Airport, 10 minutes from the Dubai International Convention and Exhibition Centre, 10 minutes distance from the Burj Khalifa, tallest building in world and walking distance from Sharaf DG Metro Station and the famous Mall of the Emirates & Ski Dubai. Featuring a comprehensive range of distinctive facilities and services it is the perfect accommodation for short & long stay business travelers as well as shoppers and families exploring Dubai at leisure. 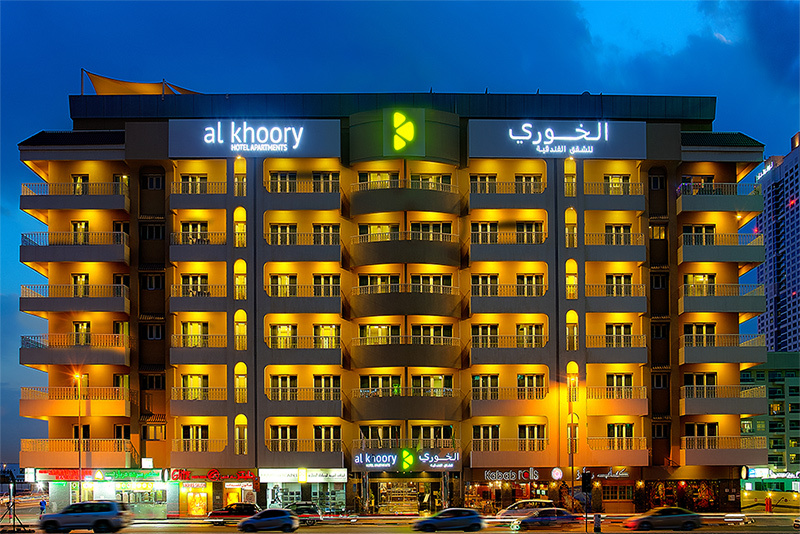 Al Khoory Executive Hotel located in the heart of Dubai on Al Wasl road next to Iranian Hospital, few minutes away from Jumeirah Beach Park, Dubai International Convention and Exhibition Centre, DWTC & DIFC. Other major landmarks in our vicinity include Burj Khalifa, Dubai Mall, Drydocks World, Dubai Creek Golf Club, and Dubai Zoo. 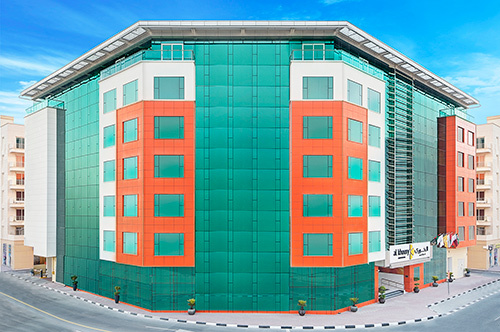 Al Khoory Inn’s convenient location to Dubai’s historic heart and Central Business Districts makes it the number one choice for both business and leisure travelers. Enjoy easy access to popular tourist locations including Historic buildings and Museums, Al Fahidi Souk, the famous Bank Street, Consulate General Offices and renowned Shopping centres. The hotel is also in walking distance from Burjuman Mall and Al Fahidi Metro station. Blending contemporary amenities with personalised services, our elegant as well as attractive rooms ensure guests have a truly welcoming and relaxing retreat every time.